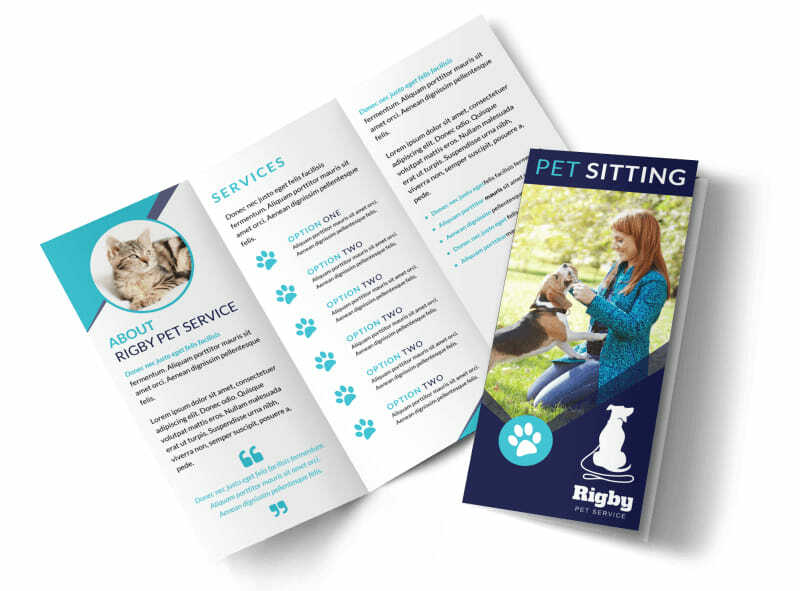 Customize our Blue Pet Sitting Tri-Fold Brochure Template and more! 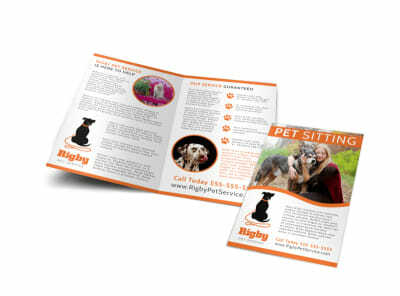 Give pet parents a rundown on the pet sitting services that you offer with this informative brochure you create yourself. 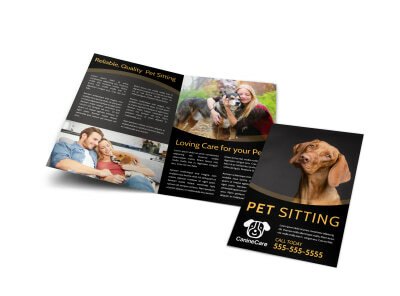 Highlight your expertise as a pet sitter and include images of some of your past happy clients with just a few short clicks of your mouse button. 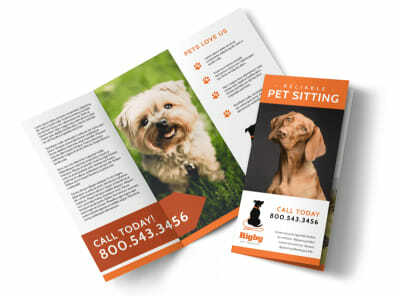 Begin designing your brochure today.